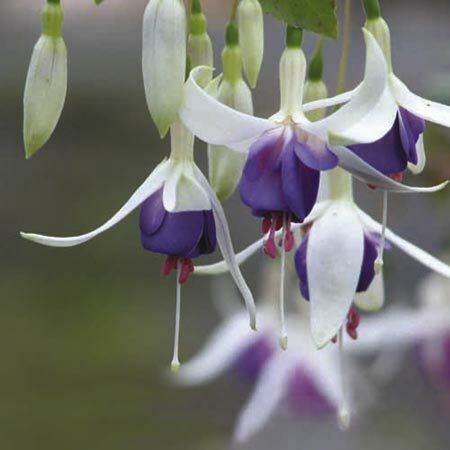 A really popular variety due the stunning blue flower and highlighted by the white sepals which are produced in great numbers over a really long period throughout the summer and really easy to care for. Flowers June-October. Height 90-100cm (3'-3'3"). Supplied in 9cm pots. Ideal for patio pots and containers, hanging baskets, bed and borders. Attractive to butterflies and bees. Grows well in sun or shade.